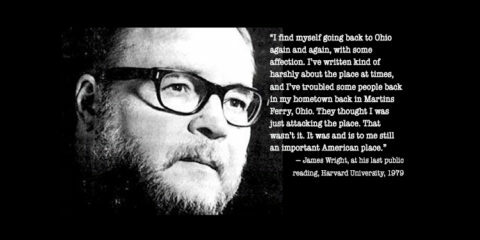 In Response to the Rumor ... James Wright Poetry Festival Is Back! “Wanderlust” — a strong desire to explore. Wanderlust Snowshoe offers the means to explore ourselves. It’s “life changing,” said Joelle Connors. 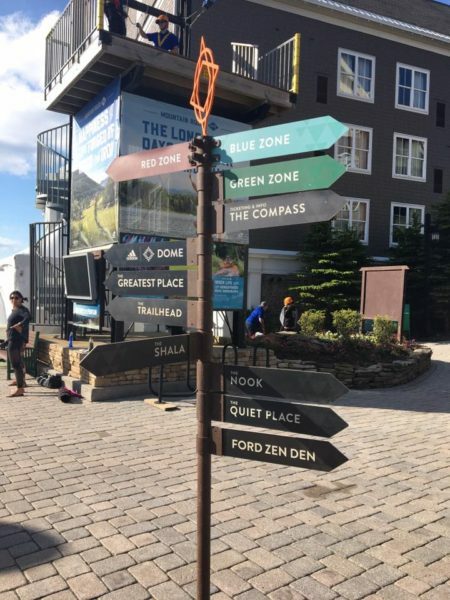 It gave Lindsay Schooler, a yoga instructor, “so many tools to bring back here.” And for Eriks Janelsins and Lea Ridenour who spent their first anniversary at Wanderlust Snowshoe last year, it was a “totally new experience to do together, a shared experience,” Janelsins said. 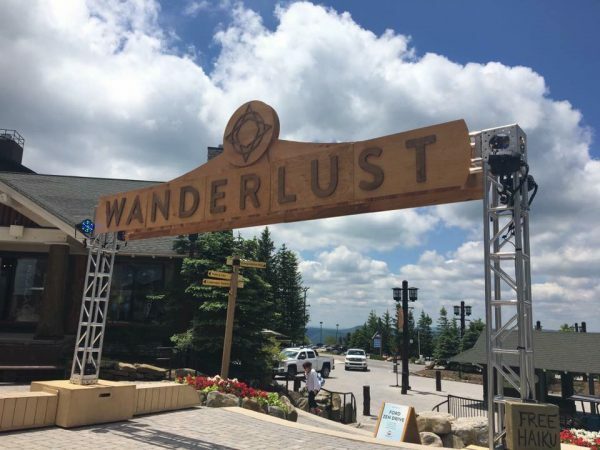 Wanderlust is a “summer camp for adults,” Ridenhour said. 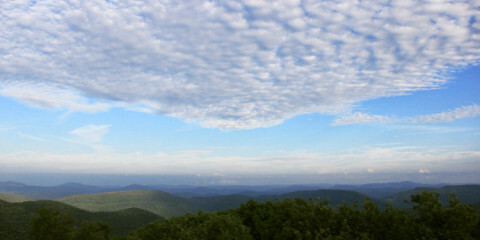 If all this speaks to you, you may just be interested in the three-day adventure June 8-10 in Snowshoe, W.Va.
Wanderlust events are held east, west, south and north of us, but we in West Virginia are lucky enough to have one right here in the green mountains of our state. 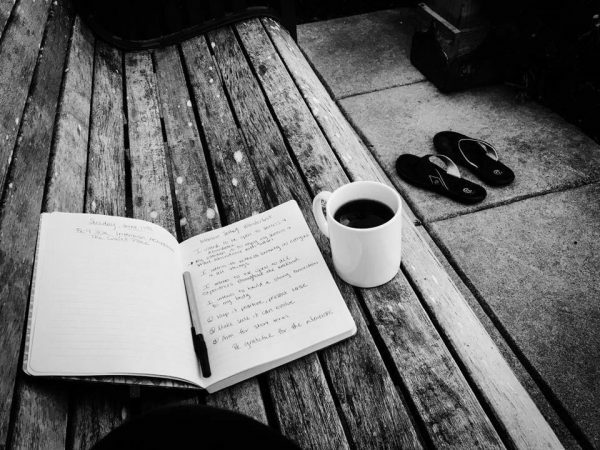 In a nutshell, this is Wanderlust, said Kim Small, director of publicity: “Wanderlust was founded in 2009 and, since then, has come to the forefront of the international mindful movement, fostering a vibrant and active generation of seekers around the world who are passionate about finding their true north. 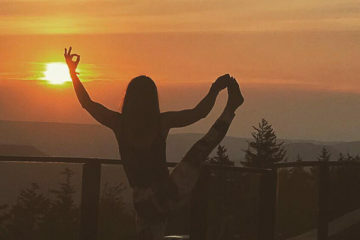 Wanderlust’s immersive multi-day festivals combine world-class yoga instruction and outdoor activities, music by top global and local performers, organic food, art and inspirational talks from our Speakeasy lecture series in spectacular natural settings. 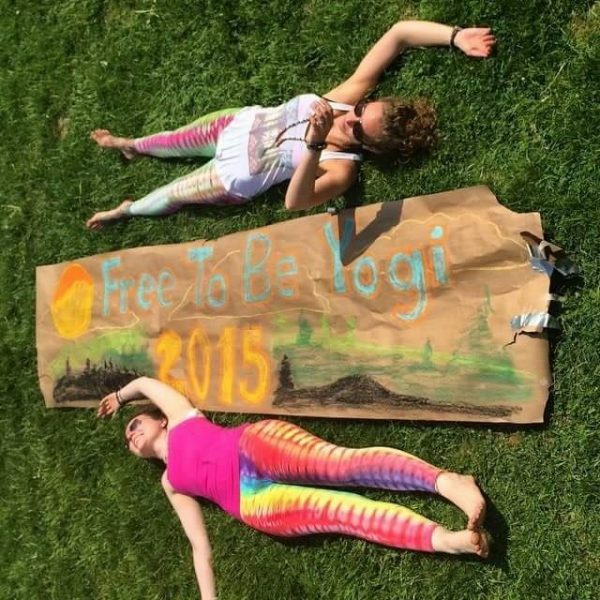 “Each festival provides a mindful retreat amid magnificent scenery where attendees can ‘choose their own adventure’ from hundreds of offerings during the course of the weekend,” she said. There will be music, speakers, artists, chefs, music, workshops, outdoor activities and camaraderie. And yoga. “With how crazy-busy all of our lives are … go, go, go all the time, super plugged in to technology … the idea of a weekend mountain retreat doing nothing but relaxing seemed like a mini-vacation to me,” Connors said. Some of the best of the best in their fields are instructors at Wanderlust. “You don’t have to go to India. 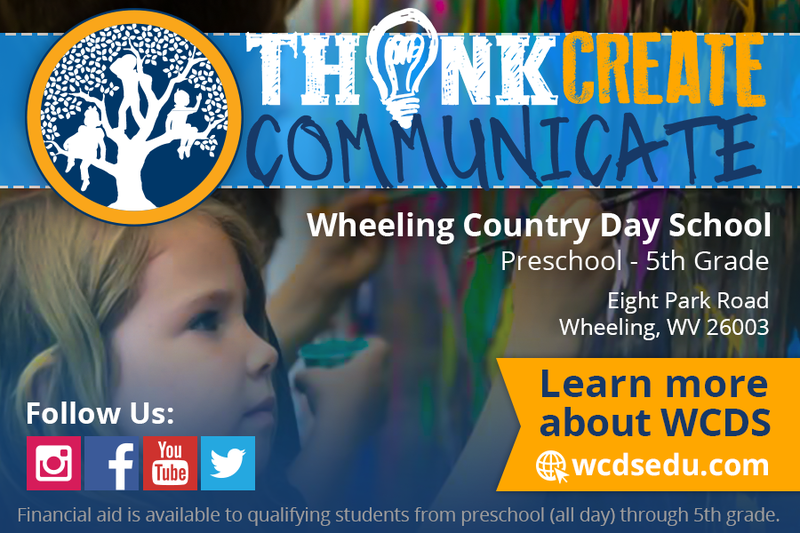 You can go to Snowshoe, W.Va,” said Connors, who is external affairs manager at American Electric Power. One of her instructors worked closely with Deepak Chopra, a prominent figure in the New Age movement. This year, Connors’ goal is to challenge herself. 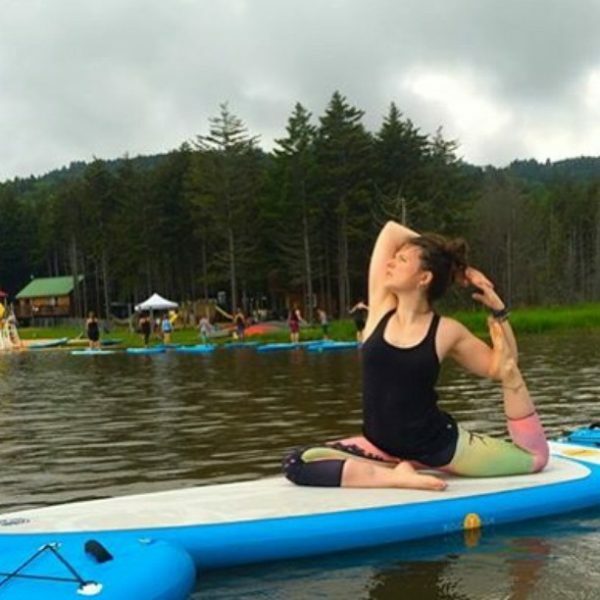 “I am mostly looking forward to seeing how far I can push myself out of my comfort zone.” To that end, she’s signed up for hikes, acro-yoga and stand-up paddleboard yoga. “I intend to be open to all experiences this year,” she said. And, even if you’re not into yoga, you can go on hikes, go mountain biking, attend nutrition classes and workshops, listen to music. “You don’t have to do one minute of yoga,” she said. Or, you could skip all the classes and just enjoy the mountain scenery and the music. 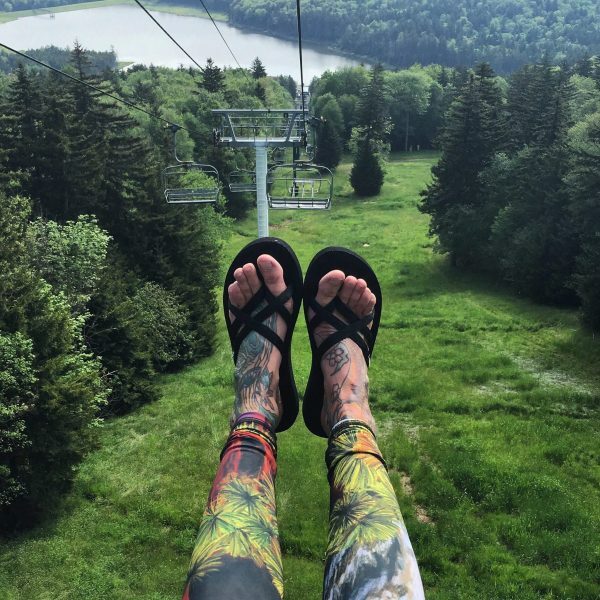 There’s a chairlift to ride, you can rent a kayak on the lake or just “sit in a glorious chair on the beach,” said Schooler, who opened Happy Goat Yoga in North Wheeling a few years ago. There is live music going on everywhere and a lot of the classes have live music — drums, a cello, a flute — or a live deejay. 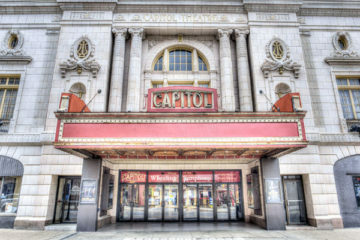 “A stage is set up in the beautiful square. … There was an awesome band. … I danced my way through the crowd on my way to class, and then said to myself, ‘nope, I’m staying and listening to music,’” Schooler said. So she skipped her class to dance. “For Lea and I, we went to dinner together. We did lots of things together, but you’re also focused on yourself. To take three days out of the entire year and take care of yourself, and have people who are experts — who literally ‘wrote the books’ … You know how retreats are … they give you a million different things, but if one sticks,” it’s been a great experience, he said. This is the fourth year for Schooler to attend, and each year has been a completely different experience. The first year, her husband Josh went with her. The second year, she took her son Dryden, who was 9 at the time. “It was profoundly good for him,” she said. Halfway through the first day, he told his mom that it changed his life. He was amazed at how kind everyone was. “He did every minute of every class. I was so proud,” she said. 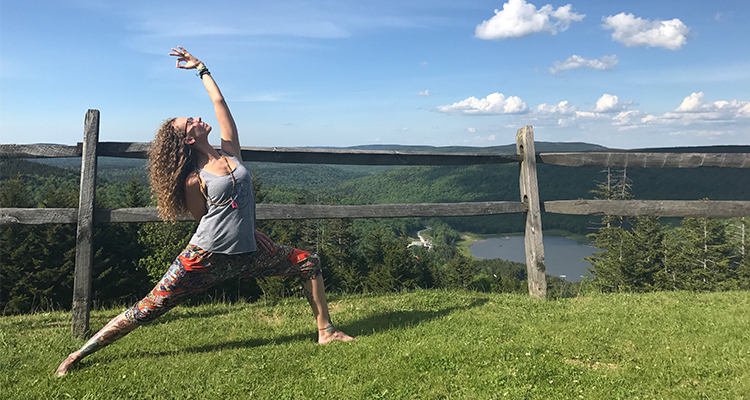 Kylie Ignace, a yoga instructor at Happy Goat and other spots in the area and a marketing coordinator for WTOV, is returning to Wanderlust Snowshoe for the third time. “When I first went to Wanderlust, I had little to no expectations. After arriving, I was blown away how the ski village transformed. Like-minded people who crave mindfulness and outdoors flood to the sidewalks. Live music is playing around the village, and people are walking around in the most comfortable athletic gear with a huge smile and look of contentment after just taking a class from one of the most talented teachers around the world,” Ignace shared. This year, she’s looking forward to her “absolute favorite” teachers — Tiffany Cruikshank, who she was trained under, Chelsey Korus and Mary Beth LaRue. Kathy Szafran, president and CEO of Crittenton Services, makes it a girlfriend getaway. “Snowshoe is beautiful in June. 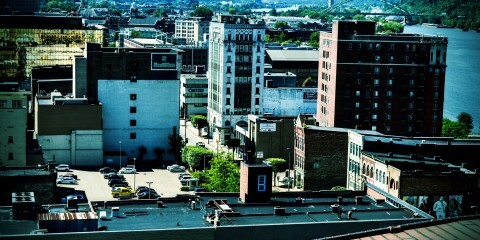 We rent a condo to share the expenses, and there are always several other groups of folks that we connect with from the Ohio Valley. The event itself is very well organized from the classes to the foods. The focus is on wellbeing and balance. 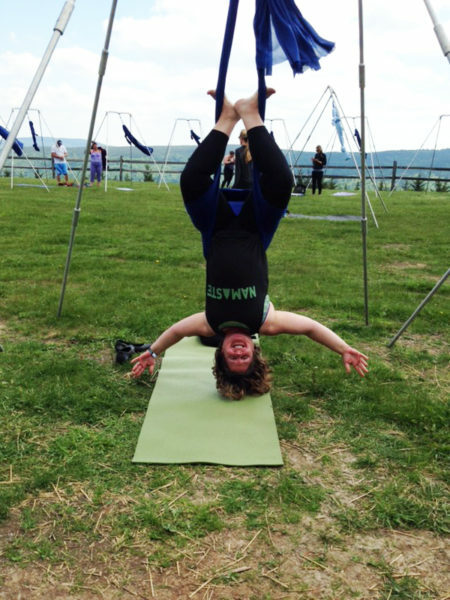 It gives you an opportunity to practice your yoga with some of the best teachers in the world and to try a wide variety of classes, like aerial yoga. Kundalini yoga was a blast! “But it’s not just yoga, there are classes on healthy eating, meditation, running, health, hiking, stress reduction, etc. And in the evening there are really fun activities. Last year we experienced a ‘silent disco,’ which is disco dancing with headphones, very fun,” she said. “Wanderlust is an amazing adventure designed to meet you exactly where you are. Whether you are a beginner or experienced in your practice you are welcome to join any event and make it work for you,” said Cindy Becker, a senior executive academic specialist with Janssen Biotech. A yoga class from a “big, beefy triangle of a guy,” from Brooklyn, N.Y., had life-changing implications for Ridenhour. Something he imparted allowed her to “graduate from post-divorce therapy,” she said. “It deepened my awareness to take the time to be good to myself in a compassionate and holistic way. So much of my time is spent taking care of others, my experience at Wanderlust helped me to focus on the importance of taking care of myself. 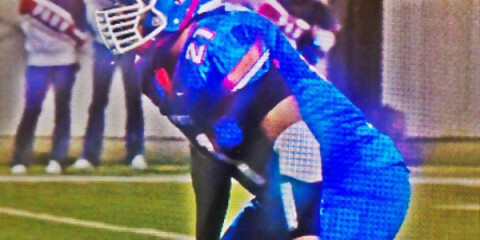 And that’s a really okay thing to do,” Szafran said. “I think getting our your comfort zone and being in a beautiful, open space filled with thousands of relatively like-minded people, really changes you in a way you don’t expect,” Schooler said. “It’s a very individual experience, but a very collective experience, too,” Connors said. Don’t over schedule yourself. And you can change your schedule once you get there. Try something out of your comfort zone. Maybe Stand-Up Paddleboard yoga or aerial yoga? Or a hike up a mountain. Or visit the “silent disco.” Try a daily yin class or meditation class. Take warm clothes, rain gear and lots of layers. Even though it’s June, it’s the mountains. But bring a bathing suit, too. Most rooms have refrigerators so take some breakfast food and snacks so you don’t have to go out to eat for all meals. There are lots of food options, too. Take some spending money! There are cool shops, outdoor markets and a very expensive ski shop with good sales on winter clothing because it’s summer! Come Thursday, so you can hit the ground running early Friday morning. Stay until Monday, so you can have a few hours to absorb the weekend when the event is over. You don’t have to go with a group to have fun. 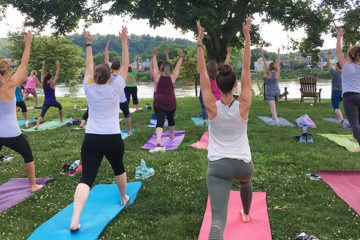 Happy Goat Yoga’s fourth annual Free To Be Yogi is set for Sunday, June 3, at Shelter 5 at Grand Vue Park in Moundsville. It’s a free event, open to all ages and every body. There’s a playground for the kids and plenty of chairs for folks to modify and join in on the community yoga jam. At 1 p.m., there’s a mindfulness hike, and at 3 p.m. is community yoga. 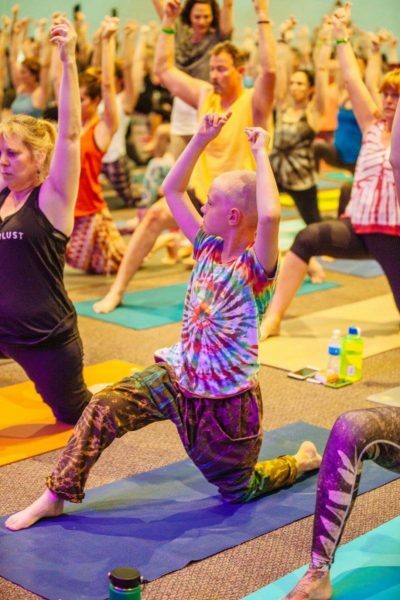 Yoga teachers will be on hand to answer questions, offer consultations and help everyone enjoy the group meditation, yoga and universal love practice. 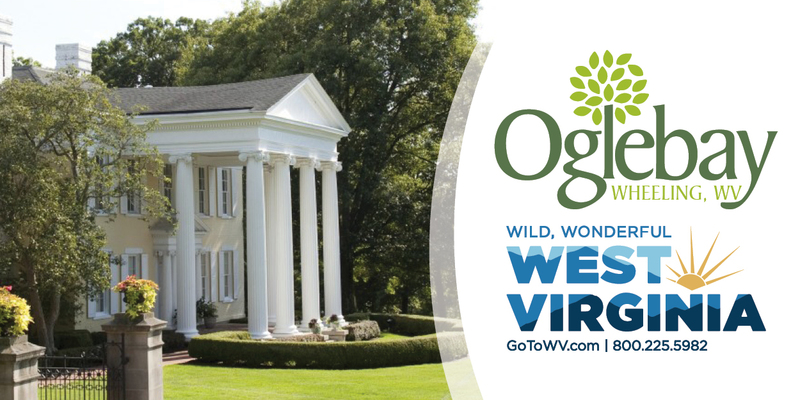 Happy Goat Yoga is a studio partner with Wanderlust Snowshoe. For a Wanderlust discount code, visit Happy Goat Yoga and send an email for more information. Pictured are Lindsay Schooler, top, and Kylie Ignace.